- Page 17 - Vista Casas Real Estate S.L. 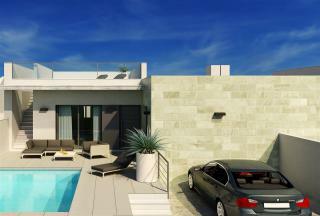 Offering 2 bedrooms, 2 bathroom modern style villas with private pools. 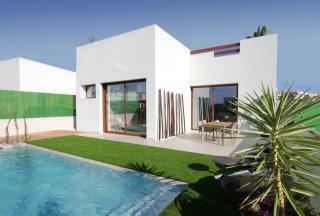 Situated on plots of 167m2 with 93m2 build and 24m2 solarium. Each property includes, whites goods, electric shutters, solar heating, built in wardrobes and parking space. 10 minute drive from local beaches. Enjoy Panoramic Views across the counrtyside to the coast from this small, high quality development of only 22 apartments. These 3 bedrooms, 2 bathrooms apartments have off-road parking and communal pool. 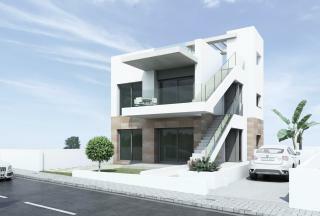 Ground floor apartments have private gardens and top floor apartments have private solariums. Just Released - New Phase of Townhouses situated in the convenient location of Villamartin, a short walk to shops, bars and restaurants and Villamartin Golf Course. These beautiful properties of 138m2 have 3 bedrooms, 3 bathrooms plus garden, terraces and a private roof solarium of 38m2. 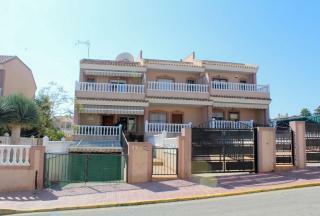 South facing 3 bedrooms, 1 bathroom townhouse situated only 1 minute walk from Cala Capitan Beach in Cabo Roig, in a quiet location. There is a beautiful communal pool and garden and off-road parking. 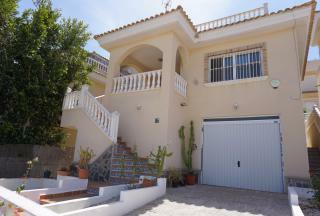 Comes fully furnished and has a modernised kitchen. An immaculately presented 2 bedrooms 2 bathrooms duplex apartment located in Novogolf, just a short walk to the famous Villamartin Plaza and golf course, and a short drive to the many beautiful sandy beaches of the Orihuela Costa. The property is situated over 3 floors with 2 spacious terraces overlooking the communal pool, and a large 65m private roof solarium. A must see property. 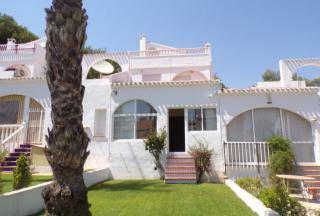 This fabulous Semi Detached Villa is built on a plot of 225 m2 and is located in Los Altos. The property is distributed over 3 floors and consists of 4 bedrooms, 3 bathrooms, living/dining area and a fully fitted kitchen. The property benefits from air conditioning, private garage, terraced areas surrounding the property on each level, solar panels for hot water, gas central heating and a roof solarium. The property also benefits from a communal swimming pool. 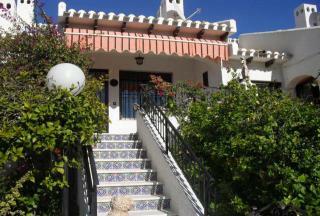 This Spanish style townhouse has 3 bedrooms, 2 bedrooms and is located in the popular area of Villamartin. As you walk in the front door you have a separate kitchen and a separate utility area. There is also a WC, large living room with an additional rear extension that takes you out to a lovely grass area. Stairs lead to the 1st Floor where you will find 2 double bedrooms both leading on to the terrace. The large master bedroom also has an en-suite and built in wardrobes and over looks the front terrace, there is also a family bathroom. The lovely solarium has panoramic views over looking the Med The property has electric shutters, communal pool and comes furnished. This stunning New Build Villa is situated in Benijofar, consisting of 2 bedrooms and 2 bathrooms positioned on a 203m2 plot with 150m2 build. With option of a private pool and private solarium this property is very desirable. 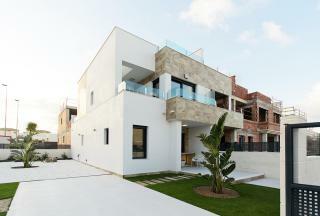 Luxury 3 bedrooms, 2 bathrooms new build apartments situated in Los Dolses, a short walk to all amenities. 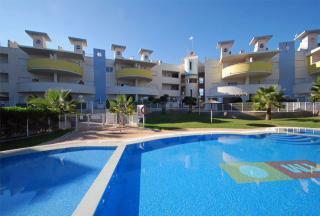 All apartments have large terraces overlooking the communal pools and gardens. Prices include underground parking and store, air-con, fully fitted kitchens incl white goods and more. Completion Autumn 2018.